We have been watching Thomas the Train for years. My 8 year old was thrilled to get to play with the Thomas & Friends Super Station. This thing is HUGE, and there is so much to do! My daughter spent hours making up stories with Thomas and his friends. 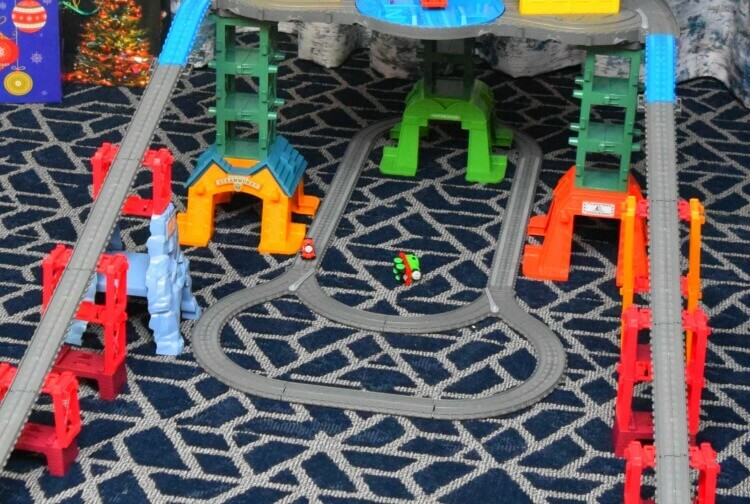 It’s a multi-system track set with 3 levels of play, so it would make a great play date toy. Five kids could play with it, and no one will bump into each other or run out of space. Moms can talk, and kids can stay creative and busy. The station comes with Thomas, Percy, James, and Harold. 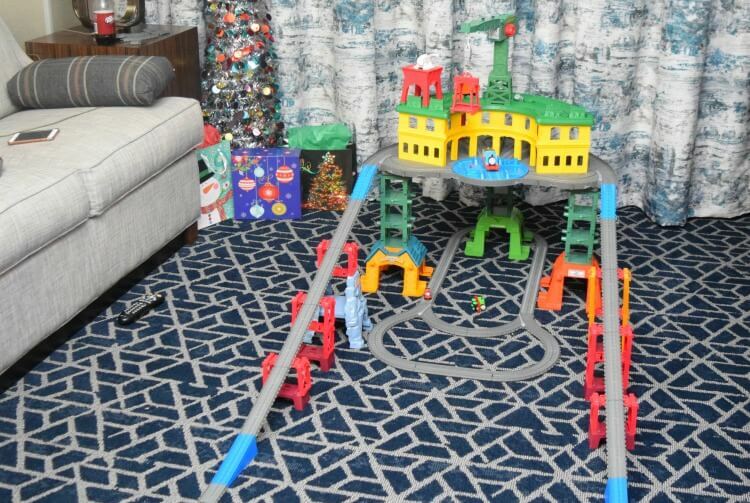 It connects with all the other train tracks from other Thomas the Train play sets, too! 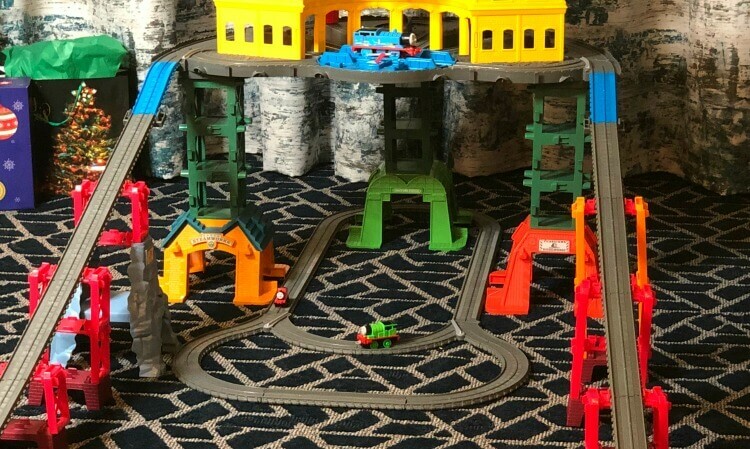 Plus, it also works with any Thomas train engines, not matter the scale — so there’s no guesswork if this will work with your child’s current Thomas the Train play sets! This super station can hold up to 100 engines! It also comes with 35 feet of track that can be configured all kinds of ways. You can remove the bottom feet on the station to change up the track to run closer together. Now I did say it was huge, but you can configure it in so many ways, so if you have a large or small space, it will fit. My daughter’s favorite part is the crane up on top. She had the helicopter saving trains, and trains going to bed in the station. 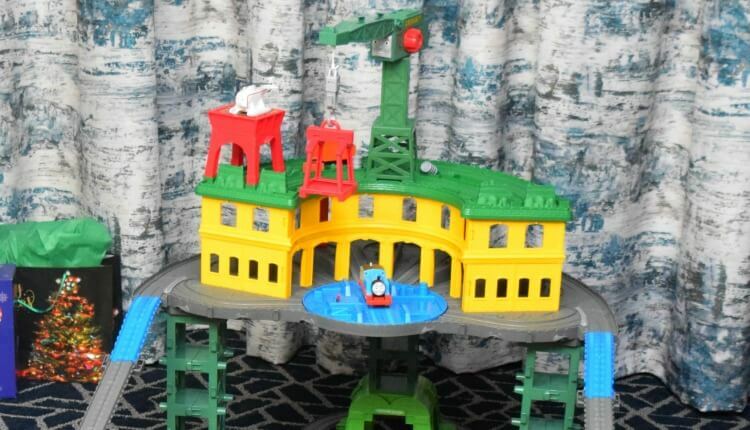 With the turn table up top, you can move Thomas and his friends all over the place. You can also create race tracks down the sides like we did. We are a competitive family, so when my kids saw the configuration for the race tracks, my 8 year old knew she could get her big brother to race her. 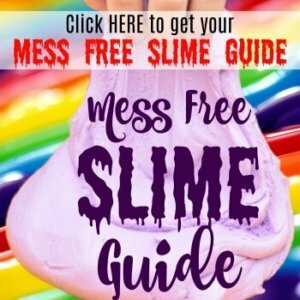 Check out the video to see who wins! 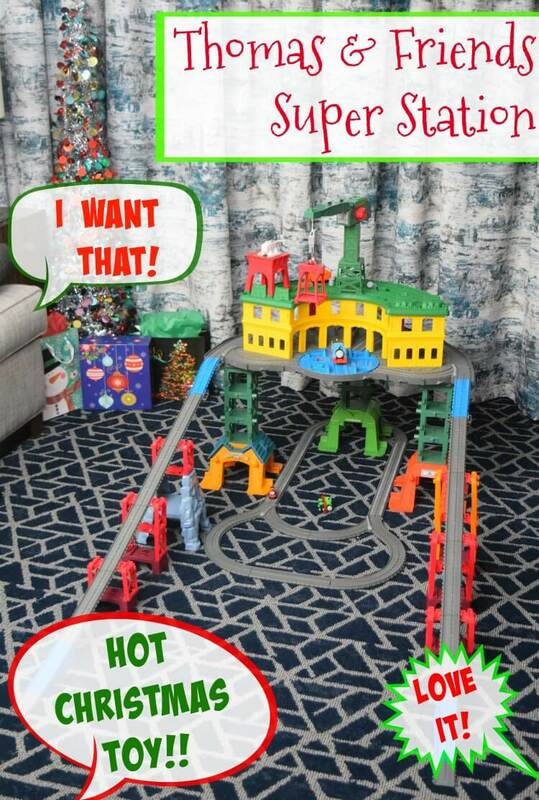 Thomas & Friends Super Station would be the perfect play set to give as a gift for a child this holiday season. You can find it at Walmart. I know any kid who finds this play set under the tree is going to be thrilled and kept busy for hours! Learn more about Thomas & Friends Super Station!